A commercial property cannot function property without the support and assistance of a professional plumber. If you are the owner of a commercial property, you must be looking for a way to dispose waste water in a safe manner and get safe water to be used inside the building. At the end of the way, you want to maintain cleanliness within your building as well. Texas Premier Plumbing, has been your only commercial plumbing solutions provider with a successful customer track record. We have made our customers highly satisfied with timely, quality and cost effective plumbing solutions, when we are most wanted. Our future with you will be the same and we strive to achieve our ultimate customer satisfaction goals with the most affordable prices at Houston, TX. What’s special about commercial plumbing with us? We carefully assess your requirement and offer the best plumbing deal in Houston, TX. Qualified and licensed plumbers at Houston, TX. 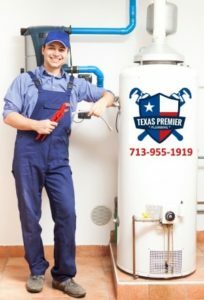 At Texas Premier Plumbing we always Guarantee our work. Prompt and attentive Emergency Plumbing service without any hesitation. Affordable prices, no hidden charges! What do commercial plumbing offers? Commercial Drainage Services at Houston TX. Drain and sewer line unblocking, drainage repairs and drainage maintenance specialists are here with us at Texas Premier Plumbing Houston, TX. Our expertise staff and top notch equipment with solve your irritating drainage problems as fast as possible. Our Hydro-jet cleaning delivers extreme pressure from 7,000 PSI to 60,000 PSI. Our Texas Premier plumbing quality plumbers are trained with the use of the Hydro-jet and know what to look for to prevent damage and thoroughly clean the entire system. Commercial Gas Fitting Services and Hot Water at Houston TX. Supply and install with a warranty period, electric and hot water heater, Gas and electric hot water installations, gas hot water systems, solar hot water all at a single stop with the licensed gas fittings provider in Houston, TX. Our commercial plumbing services also have the ability to install and maintain large scale systems, which can provide an uninterrupted system of water to you. In addition, we can work on systems that can remove waste material out of your commercial building. Whenever you come across the frustration of a clogged drain, you just need to pick up your phone and give us a call. Our commercial plumbing services are available to you around the Houston metro. In fact, we know that commercial plumbing services are associated with a lot of emergency work. When there is a water leak, you will need to get it addressed within a short period of time. Otherwise, a negative impact you be created on your business, which can affect your profit margins at the end of the day. Our commercial plumbing services are reliable and we make sure that you don’t come across the same issue in near future. We also create awareness on what steps you can take in the future to stay away from similar issues. Most importantly, we make sure that the standards of waste drainage and water supply align with the rules and regulations implemented for commercial buildings. We are just a single phone call away, Call us now on 713-955-1919! Be privileged to be served, while we take the honor on serving. 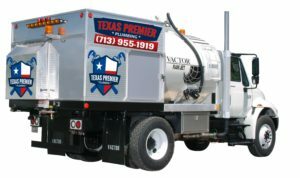 Texas Premier Plumbing provide commercial services to many management companies as well as builders. We will be happy provide references upon request.